It’s been a very mild – albeit rather dusty – week in South Korea and the settled weather looks set to continue as racing returns this weekend. It’s well worth watching Busan on Friday for the very last race on the card as unbeaten US import Cowboy Son (Cowboy Cal) steps up to class 1 for the first time. The three-year-old colt is already his America-based sire’s biggest earner and comes into the race with 6 comfortable wins from his 6 starts. Among Others, Cowboy Son will find himself up against Beolmaui Kkum, who drops down in distance after 2 disappointing recent outings, including fading without trace in the home straight of the Grand Prix Stakes in Seoul in December. There are no Stakes races on the peninsulas this weekend but Seoul does play host to a pair of class 1 events on Sunday afternoon. KRA Cup Classic winner Mari Daemul – another who had a disappointing Grand Prix, is among thoe on show. 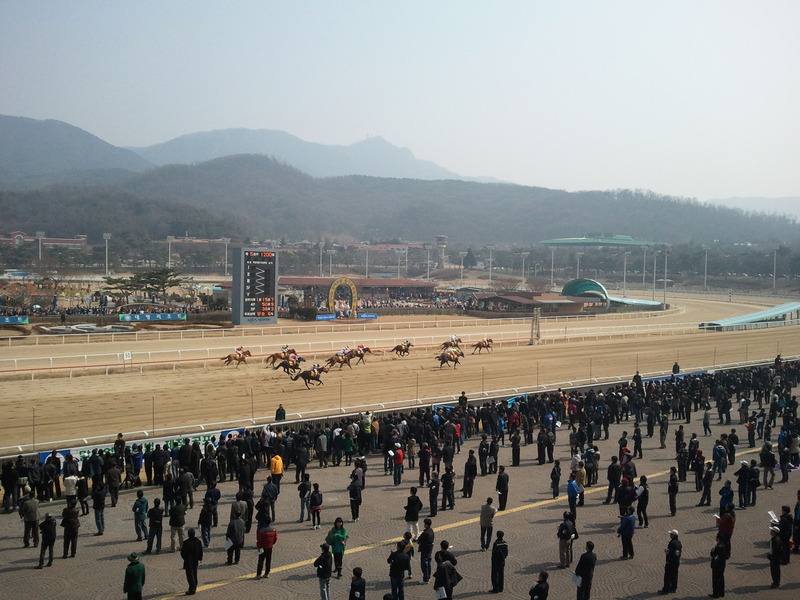 Gyeongbudaero held off a late challenge from an outsider to win the Busan Ilbo Cup this afternoon. Running at his favourite distance of 1600 metres, the horse who is famous for finishing 2nd or 3rd in the big races made light of his 60kg impost to record his 3rd career Stakes win by a length from My Winner with long-shot All Su leading the rest of the field home 6 lengths adrift. Gyeongbudaero would have a much better win rate but his connections always seek out the toughest possible opposition for him, generally running in open company rather than in races restricted to Korean bred horses. He was 3rd in the Korean Derby, Minister’s Cup and President’s Cup in 2012 and followed it up in 2013 with 3rd in this race and 2nd in the President’s Cup. He’s now 2 for 2 in 2014 with today’s win the 9th from 25 career starts. With Dangdae Bulpae retired, it is between him and President’s Cup winner Indie Band for the title of Busan’s number 1 horse. It was a very strong run from My Winner in 2nd place. The Peter Wolsley trainee won a listed race last autumn which encouraged connections to take their chance in the President’s Cup. He was last that day and hadn’t run since. Better things could be on the way and he certainly won’t be allowed to start at 20/1 next time. There was no luck for the foreign jockeys in the race. Joe Fujii, Masa Tanaka and Darryll Holland allentered with fighting chances of the win, However, riding Magic Dancer, Alpha Myeongjang and Grand Teukgeup, they finished 4th, 5th and 6th respectively. * At Seoul, there was a little bit of an upset on the Classic trail as Cheongnyeong Bisang looked very out of sorts while finishing 7th when favourite in a class 2 handicap over the Derby distance of 1800 metres. Last year’s Champion Juvenile started the year with a routine win over 1700 metres last month and was favourite to successfully go the extra 100 metres today but never looked like going close. Meanwhile, it was another good day for Ikuyasu Kurakane. The Japanese rider added to his solitary win yesterday with a double today, taking him to 14 for the year already despite missing the first 6 meetings of the year due to suspension. Fly Top Queen made her way back to the winner’s circle in dominant fashion at Seoul Race Park today, crushing her opposition in the Segye Ibo Cup. Having suffered her first ever career defeat in Japan last November and putting in a poor performance on her season debut over 1700 metres last month, there were those who thought Korea’s most expensive ever import was a half-season wonder. However, dropped back to 7 furlongs and with likely favourite Strong Wind a late scratching, Fly Top Queen was backed into odds-on and she didn’t mess about. Gunned out of the widest gate, jockey Park Tae Jong took the 4-year-old to the front early and never looked back, cruising away from the field in the home straight to win by a distance of their choosing. Behind them the Australian bred pair of Marica and Felix Joy came in 2nd and 3rd but they might as well have been running in a different race. so outclassed they were by the winner. The victory and the manner of it – even against less than exalted opposition – puts Fly Top Queen firmly in the frame for the opening leg of the Queens’ Tour, the Ttukseom Cup at Seoul next month. There, also at 7 furlongs, Joy Lucky awaits. That should be a good one. It’s been a while but Stakes action finally returns to Seoul on Sunday in the shape of the Segye Ilbo Cup. A rarity on the calendar in that it is restricted to fillies and mares of up to class 2 level, it serves both as an opportunity for imported fillies to win a big race and also as an important trial for those hoping to get a run in the Queens’ Tour series of races, which begins in March. Her only win came more than 2 years ago but she was 3rd last time out behind Xicar who has since performed well at Class 1. With Kurakane riding, she is a live outside bet. 5th in this race last year. A visually impressive winner over this distance last time out to finally break her maidem. That was at class 3 and she has recent losses to rivals here including Daeryugui Byeol and Marika. Another possible outside bet. The likely favourite, she comes into the race off of 3 consecutive wins and has beaten most of this field before. Seemingly class 1 bound sooner or later, if she runs to her best, she will be tough to beat. 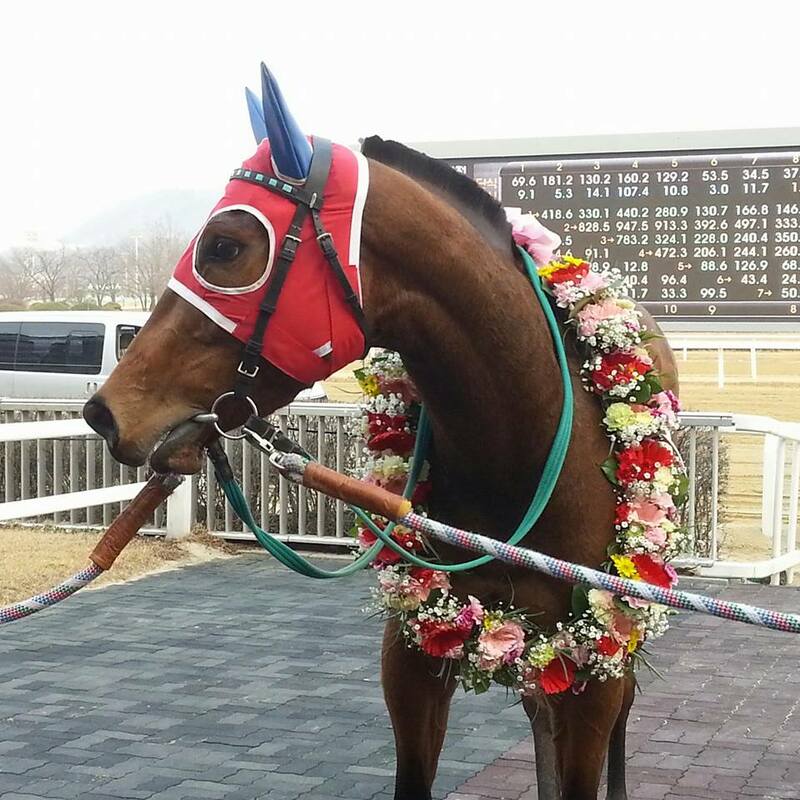 Has been in the money in her last 4 outings and has the most in-form jockey in Seoul riding. She shouldn’t have much chance of a win but she will have her backers. Has two wins and a 3rd from her last four starts over two turns and drops down in distance here to look a solid bet for a place. Holds a win over the distance but has put in two consecutive poor performances since graduating to class 2. She’s had over a month off since the last one but she’s difficult to recommend here. One of just two Korean bred entrants, she was 2nd in the Nonghyup Chairman’s Trophy over this distance last November. May find herself a little outclassed here though and she’ll be an outsider. never disgraced but hasn’t been in contention in her last few outings and there’s not much to suggest that will change here. Third behind Strong Wind and Raon Ruby at the end of December and a disappointing season’s debut last month – albeit over a much longer distance – doesn’t give much confidence of her reversing that form. Another who has found life difficult since reaching class 2 level. Not to be recommended here. In awful form of late and is making the numbers up. No chance. 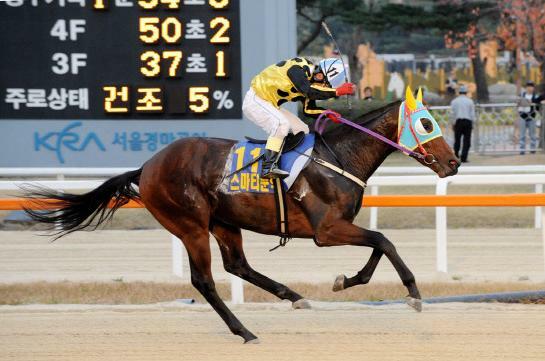 The second Korean bred entrant has talent but hasn’t run since a poor effort in November. She’ll likely be a long price. Will have plenty of support and was narrowly beaten by Strong Wind last time out and there are those who will fancy her to overturn that. It will be tough but she should be involved at the business end of the race. Defeat in Japan in November followed by a lacklustre performance last month when she finished behind three of her rivals here have taken a little of the shine off Korea’s most expensive ever import. If she runs at her best, she’s streets ahead of this field but doubts over exactly which Fly Top Queen will show up mean she won’t be favourite. 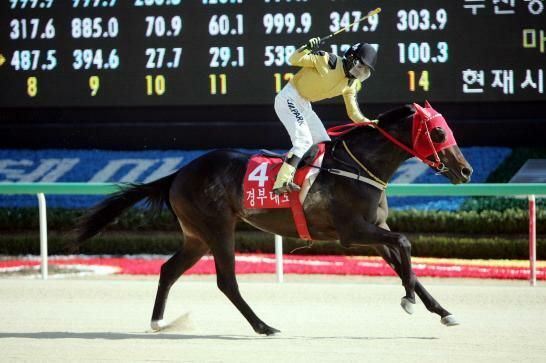 Smarty Moonhak (Smarty Jones), one of the most talented and talked about horses to race in Korea in recent times, has been retired after suffering a recurrence of the tendonitis that had previously kept him off the track for over a year. The 5-year-old had been spelled for a month after taking part in the Grand Prix Stakes in December but returned to Seoul Racecourse seemingly in good shape in mid-January. However, after several days of light work, swelling was noticed on January 31 and five days the return of the tendonitis was diagnosed. 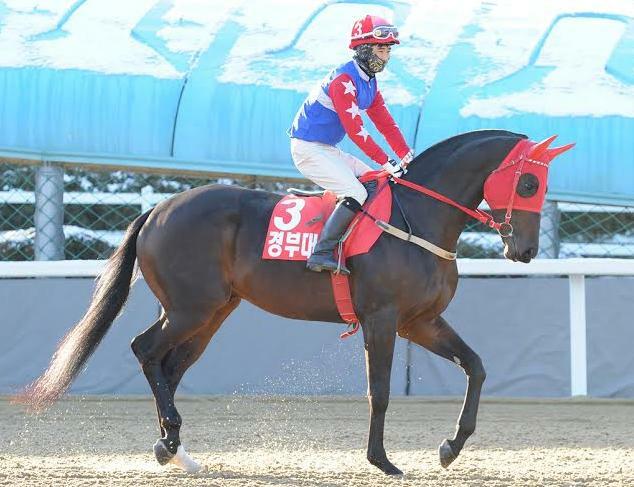 Having had stem-cell treatment once already, the decision was taken to officially retire him and the horse has returned to Taepyeong Farm. A $14,000 purchase from the 2010 Keeneland September Yearling Sale, Smarty Moonhak, out of the Black Tie Affair mare Madeira M’Dear, arrived in Korea in February 2011 and after acclimatizing at Taepyeong, was sent into the care of trainer Ko Ok Bong at Seoul Racecourse. He made his racing debut in May of that year, finishing 2nd to New Zealand import Mister Captain – a horse who would have his own very promising career cut short through injury after just three starts. Smarty Moonhak was sent off at odds of 24/1 in that race but he was the odds-on favourite by the time of his next start where he broke his maiden with a comfortable win over 6 furlongs. He would stroll his next 3 races too, culminating in a eleven-length win in the Listed TJK Trophy at the beginning of November. Despite only being 2-years-old, he came back from that race, which was run over 1800 metres, looking as though he could have quite easily have gone round again. It was because of this that his name was added to the ballot for the season-ending Grand Prix Stakes – a race similar to Japan’s Arima Kinen in that racing fans get to vote on which horses they want to see run in the season-ending showpiece. 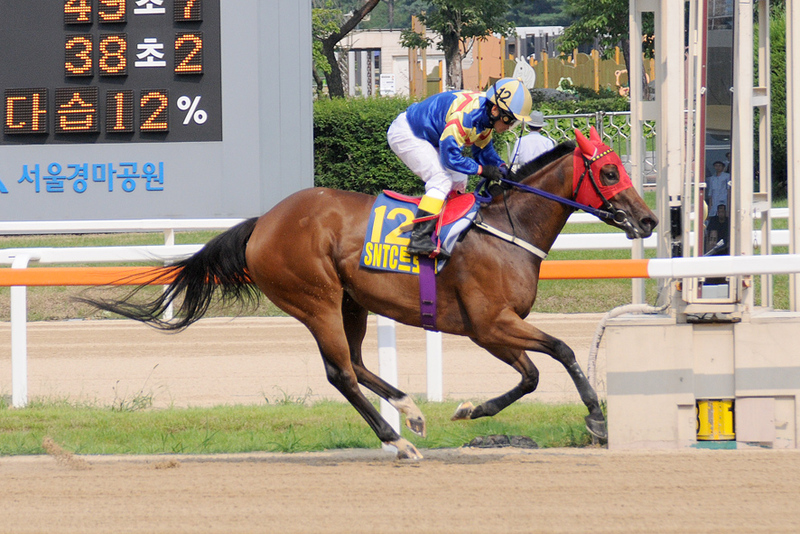 Smarty Moonhak was voted in by a landslide becoming the first ever Juvenile to take part. 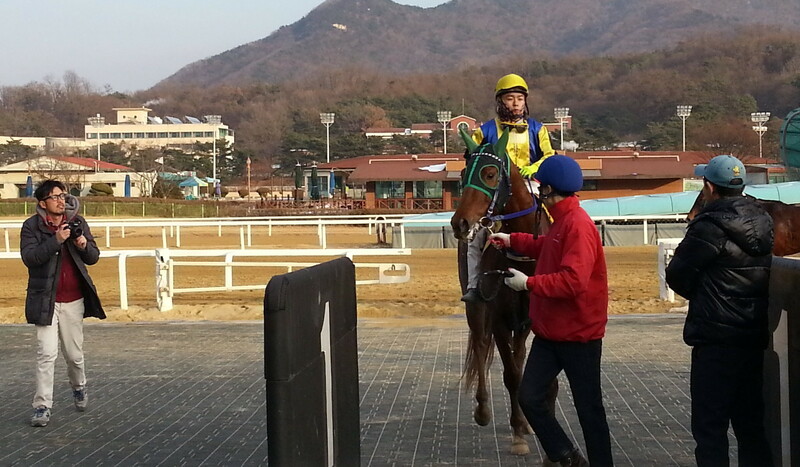 On the day, He ran a game and valiant 3rd behind Horse of the Year Tough Win and the defending champion Mister Park. Despite not being eligible for the Triple Crown, Smarty Moonhak’s 3-year-old campaign was the most highly anticipated in years. That campaign started as expected. 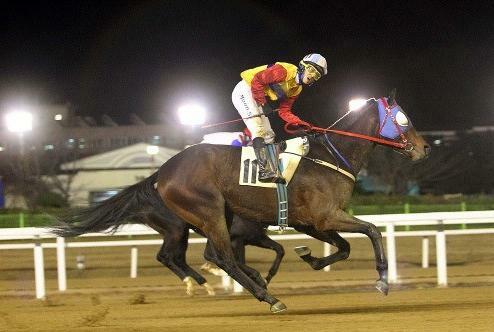 Four consecutive routine wins meant that he arrived on the South coast for the Busan Mayor’s Trophy – informally known as the “Summer Grand Prix” as the overwhelming favourite. He ran well that evening but while he was always towards the front of the field, he never looked like catching the winner, Dangdae Bulpae, who he finished two lengths adrift of in 2nd. When he returned to Seoul, however, detailed veterinary examinations revealed that Smarty Moonhak was suffering from tendonitis in his left-foreleg. It was a very similar injury to the one that ended the career of that year’s Kentucky Derby and Preakness winner I’ll Have Another on the eve of his bid to sweep the US Triple Crown. The stem cell treatment process was a long one and if truth be told, few expected Smarty Moonhak to ever race again. Nevertheless, in July 2013, a year after his diagnosis, he was quietly returned to the racecourse. It was with a different trainer – he’d been away for so long that Mr. Ko had retired in the meantime. A month later he breezed through his race-trial before making his comeback in a low-key class 1 race in early October. He finished 6th but more importantly, came through unscathed and looking sharp. A month later, he was back in the winner’s circle, making a dashing late run to win a class 1 sprint over 6 furlongs. That was enough for him to once more be voted into the Grand Prix Stakes. In what would ultimately be his last race, he showed at the front early before fading into a mid-field finish. Of course, with hindsight, he shouldn’t have come back at all. But almost all racing fans here will have to admit to have being delighted when he did. Now that delight is replaced with relief that he didn’t suffer an even worse injury. A half-brother has just been born. 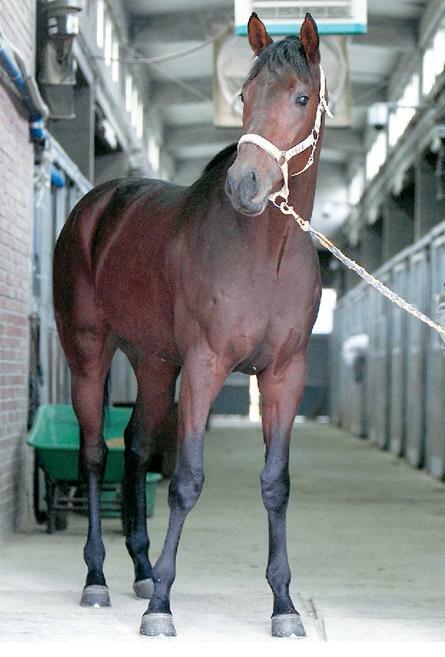 Smarty’s dam, Maderira M’Dear, was imported to Korea in 2012 and recently delivered a colt by Ecton Park. We will be looking out for him on the Korean Triple Crown trail in 2017. As for Smarty Moonhak himelf, he is recuperating at Taepyeong Farm before most likely becoming the resident stallion in the small breeding operation there. Overall, he ran 14 times, winning 9 of them and won about $600,000. He also gained an overseas following by virtue of being a son of the wildly popular Kentucky Derby and Preakness Stakes winner Smarty Jones. Although he may never have come close to reaching his true potential, in terms of impact, few have matched Smarty Moonhak. 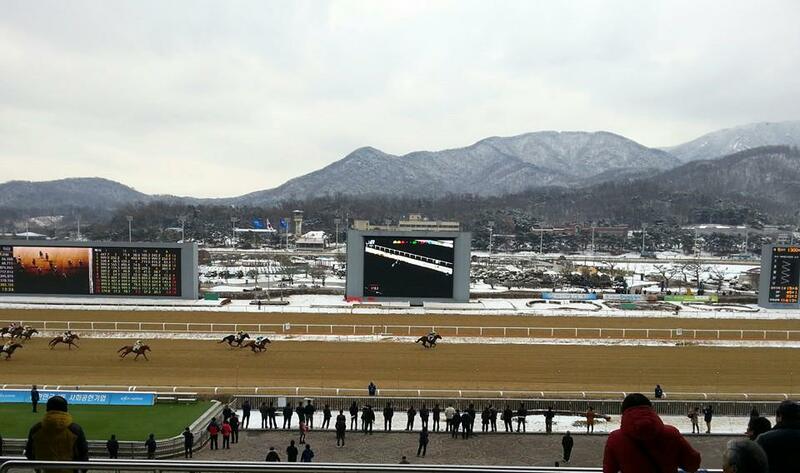 Joy Lucky began her 2014 campaign in fine style with an easy gate-to-wire win at Seoul Race Park this afternoon. If anything it was too easy with the 7-furlong class 1 race proving little more than a workout for the 4-year-old who ended 2013 as Seoul’s top filly. Under Seo Seung Un, Joy Lucky took an early lead and settled into a steady pace before sauntering away from her rivals in the home straight to win by a leisurely 9 lengths. Despite how easy it was, her time was only just over half a second outside the track record for the distance. Joy Lucky (Ecton Park) now has 8 wins from 11 starts and looks set for a very interesting year. The Queens’ Tour, which begins with the Ttukseom Cup in just over a month’s time, may be on the agenda. There was no joy for the foreign jockeys at either Seoul or Busan today, but it will still go down as a successful weekend for them. On Friday at Busan, Joe Fujii landed a double while there were also wins for Jerome Lermtye and Masa Tanaka. Meanwhile in the capital on Saturday, Ikuyasu Kurakane notched a treble, taking him up to 11 wins for the season. The most notable of those victories came on the promising 3-year-old filly Clean Up Speed (Pico Central), who was recording her 3rd win from 5 starts. Next week sees the return of big race action in the shape of the Segye Ilbo Cup, a Queens’ Tour trial, at Seoul. Joy Lucky doesn’t need to run in it but a host of domestic and imported fillies looking for their pass to compete for the big prizes will be there.